A good place to begin your Liverpool stay is at the Museum of Liverpool. In this museum you can learn all about Liverpool and all the uniqueness that the city has contributed to the world. The focus is primarily on how sport and creativity have shaped the city. The museum is suitable for all ages and there are plenty of things to see and do for both adults and children. 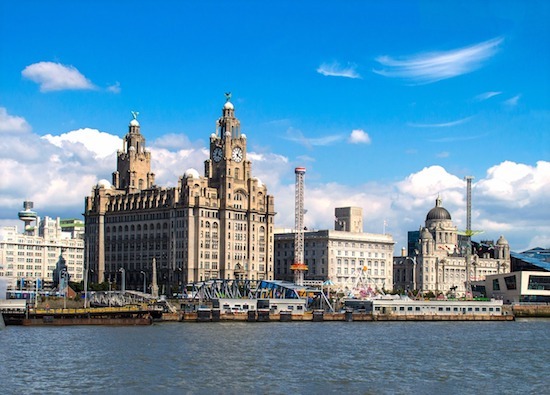 Among other things, you can see the scene where John Lennon and Paul McCartney first met, one of the world’s first railway locomotives, football images from Liverpool FC’s history, a large sculpture of the city’s famous Liver bird, and much more. In addition there are 360º films of the Beatles and football in Liverpool. For those who are interested in the Beatles and the four members’ lives in Liverpool, you can go on a so-called Magical Mystery Tour. During this tour you’ll go around Liverpool and visit different places where members of the Beatles spent parts of their lives. Among other things you can visit their birth places, the schools they attended and their family. The tours are operated by guides who constantly tell you about the different places to visit. The Magical Mystery Tour may very well be one of your favorite attractions in Liverpool, especially if you are a big fan of The Beatles. Like many other major cities in the world, Liverpool has a neighbourhood that is completely influenced by China. China Town in Liverpool is actually the oldest in Europe and the first Chinese settled here in the early 1800s. 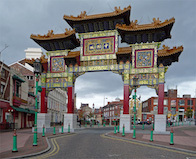 Something else unique about Liverpool’s Chinatown is that the entrance to the town is adorned with a large Chinese arch. This was a gift to Liverpool from its twin city Shanghai in 2000 and is the largest that exists outside China’s borders. Visitors to this exotic town can walk around the small shops or dine at various restaurants. Prices for food are usually lower than in other parts of town and a nice evening dinner does not have to make a large hole in your wallet. Liverpool Cathedral is a magnificent church in the centre of Liverpool and is England’s and the world’s largest Anglican church. The church was built by the engineer Sir Gilles Gilbert Scott, who is also the man behind the red telephone box and the Bankside Power Station in London (now the Tate Modern). When you visit Liverpool Cathedral, there are some things to note. Among other things, the church bell and the world’s third largest church organ with its 9,765 pipes, is one of the UK’s largest. Visitors can see a ten minute planetarian film of the church, but also have the opportunity to go up the 101 metre high church tower to get a beautiful view of Liverpool. If you do not manage to get a ticket to one of Liverpool’s games or simply want to learn more about Liverpool FC, you should visit the Anfield stadium during the days when no matches are played. Visitors can go on a tour of the stadium and visit Liverpool FC’s own museum. Those who choose to go on the tour will be able to see the press rooms, player tunnel with the classic "This Is Anfield" sign, large parts of the stands, the difference between the away team and Liverpool dressing rooms and much more. In the football museum at Anfield, one can see different parts of Liverpool FC’s 120-year-long history as one of the world’s best club teams. The museum is full of pictures, videos, stories, various match jerseys and other interesting things. Moreover, one can listen to a 40-minute story by Phil Thompson on what it was like to have been supporter, player, team captain, assistant coach and head coach of Liverpool FC. The museum also offers several activities for children, including various interactive football activities. If you get hungry or have a craving for coffee, there's also the Boot Room Sports Café where you can sit down and recharge your batteries. When you are tired of the big city pulse of Liverpool, it may be time to get out to the coast south and north of the city to get some relaxation at one of the beaches that are nearby. Perhaps the most popular beach is Crosby Beach which is a little bit north of Liverpool. In the beautiful coastal environment you can wander around on the beach and breathe in the British sea air. Something unique about Crosby Beach that you should not miss is to take a closer look at all the sculptures that have been placed along the beach. If you enjoy adventure sports and adrenaline rushes you should visit Awesome Walls Climbing Centre. This is a climbing centre where you can try climbing and whether you’ve climbed before or not, you are welcome to Awesome Walls Climbing Centre, and there are several walls to get up with different difficulty levels. Even younger children can come and climb, and usually appreciate the opportunity to fight their way up the walls. Instructors are in place and the safety is high. Calderstones Park is one of Liverpool’s beautiful parks situated south of the central parts of the city. This is the most that one could wish for in a park with large green areas, beautiful plants and flowers, majestic trees and a tranquil lake. In addition, there are also tennis courts and a children’s playground. Calderstones Park is a great place to visit when you feel that it is time to move away from Liverpool city centre and instead get to roam around in a beautiful and peaceful surroundings. About 15 minutes walk from Albert Dock in Liverpool's port you will find Liverpool Watersports Centre. This is a sports centre which is entirely focused on water sports and one can, as a visitor, try out several different activities on the water. Here you can sail, windsurf, highspeed boat, paddle board, canoe, kayak and much more. There is also the opportunity to swim for those who want to. If it’s a whole family, a visit to this centre is a great idea. Regardless of age, one can find an activity to try. If you have an hour or two left over and quickly need to find something to do, you can visit Jungle Rumble Adeventure Golf to get a really fun, different pitch-and-putt experience. The uniqueness of this place is that the environment around the miniature golf courses is entirely jungle influenced. The heat is turned up to get the same temperature as in the jungle and on the runways, there is everything from exotic plants to the volcanoes and temple ruins. There are two 18-hole courses and any age can come and play. Opening hours are 10:00 to 23:00 every day of the week. Albert Dock is a large port complex in Liverpool, which consists of several historical buildings and warehouses. The area is on the UNESCO World Heritage List and has the most Grade I listed buildings throughout England. Grade I is the highest designation a building can get and means that it is of outstanding national architectural or cultural interest. The whole area is full of various attractions such as shops, restaurants, bars and cafés. Several of Liverpool’s main museums are located in the Albert Dock, including Beatles Story, the International Slavery Museum, Merseyside Maritime Museum and Tate Liverpool. With the Beatles’ immense popularity in the world there is no doubt this is by far the most popular museum in Liverpool. It tells the story of how the well-known band was formed. With the Beatles Story, you can follow the story of how Paul McCartney, John Lennon, Ringo Starr and George Harrison managed to achieve major success with The Beatles. Visitors can see the studio where the Beatles recorded their first album, George Harrison’s first guitar, music compilations and more interesting things. If you want to, there’s also the option of buying yourself a Beatles souvenir from the museum shop. One of the darker chapters in European history is the one dealing with the slave trade between Europe, Africa and America. At the International Slavery Museum you have plenty to learn about how the slave trade went on and what role Liverpool had in it. The different departments of the museum explain everything, from what the slaves had before they were captured in West Africa and their hard life on the plantation in the US, and how it had an impact on Liverpool’s economy. There are also several exhibits that showcase how the slave trade is still ongoing but in another form as trafficking, forced labour or child labour. England has a great history of seafaring and marine innovations. At Merseyside Maritime Museum you follow the story of Liverpool and the port city’s importance in the world. You can do as much as you like and explore the museum’s various departments, and after visiting the museum you will have a new knowledge of the British Merchant Navy, the Navy’s role in the Atlantic during World War II, detailed facts about the history of the Titanic, the extensive smuggling at sea and much more. You’ll also find several interactive games and activities, and interesting exhibits are constantly changing. Tate Liverpool is the city’s premier art museum and is one of the country’s busiest outside London. The focus is mainly on contemporary art with paintings and works from all over the world. The museum is part of the Tate and what is displayed is similar to what you’ll find at the Tate Modern in London. Through the years, exhibits from Gustav Klimt, Pablo Picasso, René Magritte, Claude Monet and several other artists have been included. The museum includes a large collection of British art, with works from well-known names such as Francis Bacon, Marcel Duchamp, Barbara Hepworth, Henry Moore and Andy Warhol.